Technology has changed how we do things. It has extensively influenced how we communicate, exchange information and utilize various media platforms. With the help of various coding languages such as Python, Java, C++, Ruby, PHP, Swift, etc., living in this world has just been made easier thanks to the software developers who play a vital part in enhancing technology. Technology and developers are inseparable, they makes technology happen. In this article, I would take you through all aspects of this savvy tech individual called software developer. You have probably heard of this formality that the most powerful people in an organization are software developers. So what is these software development people are rattling about? It is simply the process of making applications and the frameworks used in software release by programming, documenting and then testing with the end product being a software product. With the ever evolving technological needs, software development community (SDC) is also changing to adapt to the current technological needs. For instance, there have been several hot programming trends that vaguely shows that software development is not devoid of trendy inventions in its community. What makes the SDC so special is that the programming trends are driven by the zeal for efficiency, accelerated customization and the ease of use. The aim of the developers (programmers) is to try as much as possible to eclipse the previous versions of the software. In a simple word, it is a meritocracy. Google has just released an update in its mobile platforms that gives high priority to mobile websites that are well designed to be accessed in mobile devices. It in turn has made many mobile manufacturing companies to prioritize this feature that has made both iOS and Android developers very busy. Cloud computing has just taken over all storage needs. It has made life very simple by allowing a person to access information from various devices conveniently. Many developers are coming up with software that allows for easier cloud computing as a way of adapting to this new and convenient change. 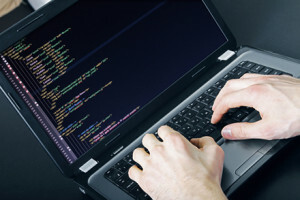 Security has been in the minds of developers since there is an increase in the level of connectivity. Software developer can’t afford to ignore this important trend (security) since it heralds the future of technology. Helping out in carrying out a review of the current systems and recommending any change if necessary. They are involved in writing down the program codes and producing a detailed specification of the software. They worked in close relation with other staff especially analysts and designers to produce quality work. They also tests the software product before releasing it into the market. They normally do this in controlled and real situations to be sure of the outcomes when it is released out there. They are involved in preparing of training manuals for users and other staff members. They carried out regular maintenance of the systems once they have been installed and are up and running. What you should know is that software developer’s work for long periods compared to other people in the working sector. For instance, they usually have strict deadlines that have to be met hence prompting them to work for longer hours. They can work from any place depending on where they find convenience. Some of them prefer to work at home while others prefer working in an office set up. Becoming a software developer is not as hard as many people usually presume. However, you must exercise patience and determination as the fundamental ways to becoming a proficient developer. First of all, you must show an interest to learn various vital elements in software development such as programming. One can start as early as high school to build a strong foundation for software development. For instance, you can struggle to at least know the basics of programming in C++, Java, HTML/CSS, and PHP. However, you have to be good in Mathematics to succeed at this level. If mathematics is not your thing, you should consider looking for other options. You should ignore the stories about some individuals becoming C.E.Os without completing college and getting a degree. Very few people get employment or even in software firms without valid documents to strongly support their skills. Working in software firms gives you an opportunity to showcase your skills and open more opportunities for you. Choose on what you can do, there are a lot of software out there, each with a different purpose. If you are interested in games, you need to be a game programmer/developer. You should also be willing to sharpen your skills by getting freelance jobs. For instance, you can bid for jobs from several online sites such as freelancer.comor Upwork. Even though it is difficult for starters to get a job, there is no reason you should not try any of these sites. With time, you will slowly sharpen your skills and get more experience that is a good way to start your career. You can also move on to full work, or you can work on your projects. However, working on your project requires a lot of capital and marketing strategies to make the software successful. There are several companies that offer lucrative deals to developers since they form a crucial lot in most organizations. With further advancement in a career, one can even state and negotiate how much he or she wants to earn. A college degree or any other academic certificate will highly increase your chances of being successful in the IT field. Most companies only accept those with relevant computing qualification. However, we have heard of several people who managed it in this field without college degrees hence it is not a must you have it. Some companies offer training programs before giving full-time employment. Some people have degrees that do not directly conform to IT. In such a case, one can apply for a graduate trainee program or enroll in a postgraduate course to sharpen skills. Sound knowledge of the current computer hardware and software. Must have a sound analytical and commercial expertise. Must also possess an ability to work in a team. Must be extra vigilant and have the ability to give an eye to details and identifying problems. Should also have an understanding of business. Ability to use one or more of the available programming languages such as C++, PHP, HTML,Java, etc. Being a developer comes with lucrative deals. Currently, the average annual salary is around$101,731. The entry level pay ranges between $57,555 to $75,360 annually with a potential of shooting to $152,786 depending on the level of experience or the management level. In the US, research shows that the average software developer’s salary is higher than most jobs in other technological fields. The job will require that sometimes you work at odd hours in trying to meet the deadlines set. The payment is among the highest globally hence worth a try. You have an opportunity to learn a lot of skills like programming and software tools. It is very convenient. One can work from anywhere since all you need a laptop and an internet connection. One is also assured of comfortable working environment since you don’t have to worry about harsh weather conditions outside. Stiff completion and outsourcing from other countries that can lock out many graduate developers. One has to sit all day while working, which is can be boring and unhealthy. Many incidences of age discrimination since it is considered a job for the young generation. Long hours of working and the tight deadlines can be very tiresome and stressful. Being a software geek is not a simple walk in the park. You have to exercise self-discipline to make it in this field, especially if you do freelancing in this industry. Time planning is essential to help you get your work completed on time. Avoid postponing work to avoid pile ups. Organize your workplace in a way that will give you the required environment to make you more productive. At least get rid of things that might destruct you while working.